Buz Amason is the husband of another client of mine, CJ Amason, Executive Director of the Foundation for Excellence in Public Education here in Clarke County, Georgia. Buz also oversees a ministry, The Christian Faculty Forum that had been able to host a very basic, very outdated version of their website on The University of Georgia’s servers for several years. It was time for CFF to upgrade their website and more effectively communicate with it’s members and prospective members. I built this site starting with Minimum Pro, one of my favorite Genesis child themes. I also used WP Types & Views to create a faculty directory page and used Gravity Forms to make a semi-private submission form to populate the Faculty page with entries that are approved by Buz. Another feature that I was able to highlight with the WP Types & Views plugin was CFF’s Media page. Many of CFF’s monthly meetings are recorded and these audio clips are now able to be hosted in an attractive, easy to navigate page template. 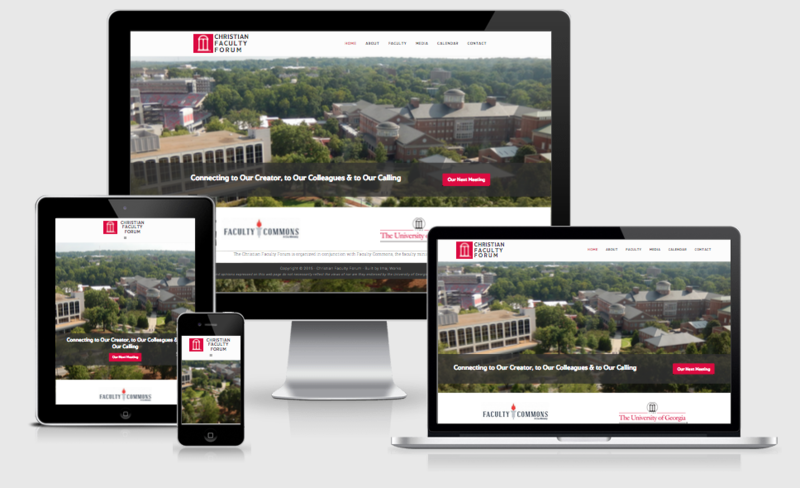 The final hurdle that we ran into with CFF’s site was trying to get the site that I developed onto UGA’s servers, where the site had been hosted for many years. We ran into quite a few hurdles including limited access to the database, an outdated version of PHP and a lack of understanding WordPress from the tech support desk at UGA. After many months of trying to get it online, Buz finally agreed to go with my gut and we called Flywheel and had the site online and zippy-fast within a day. I can’t say enough about how a great host will make your life easier! This was a fun project with lots of little layers of complication that stimulated and excited my brain!